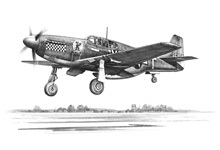 A stunning showcase of more than 100 exquisite pencil drawings by the world renowned aviation artist. 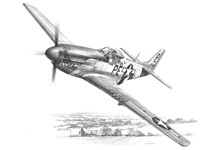 Most of the work presented in this book has been created especially for it and displays the uniquely detailed and precise style of this widely collected artist. An excitingly wide selection of aircraft is shown, from the fragile machines over the trenches of the Western Front to shapes that seem to be from another world like the SR71 Blackbird and the Sukhoi Flanker. 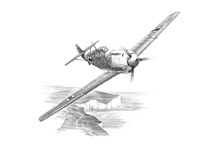 There are many old favourites, especially of the Second World War, and even here are some 'rare birds' like the Dornier 355, the Ta152 and the Boulton Paul Defiant. 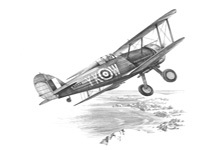 The drawings reflect the fascinating development of aviation in the twentieth Century, the many beautiful forms of these aircraft and the aircrews' heroic exploits in every corner of the world. 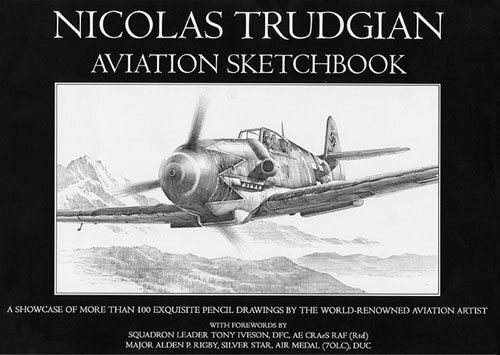 It is rare for an artist with such obvious aptitude for mechanical subject matter also to be able to capture the beauty and atmosphere of the world's landscapes, and yet Nicolas Trudgian achieves this with both pencil and paintbrush. 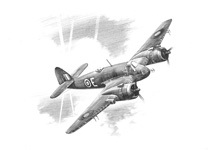 This book, devoted exclusively to his pencil work, is complemented by a number of aircrew who have added their personal recollections, some humerous, some poignant, about their experiences in the air and on the ground, embellishing a volume which readers will enjoy returning to again and again. 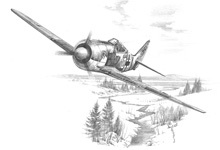 Adolf Galland's Bf109E of JG26 and Walter Nowotny's FW190A of JG54. The prints are presented in a specially designed wallet which together with the book is contained in a hand-made slipcase. This Limited Edition book has been personally signed & numbered by the artist, Nicolas Trudgian. In very good condition. Acquired from a private collection.